I am pretty sure by this time that everyone knows how important a compost is especially if you have a garden. We also all know the traditional things to add to your compost. Lawn cuttings, table scraps, garden scraps and so on. 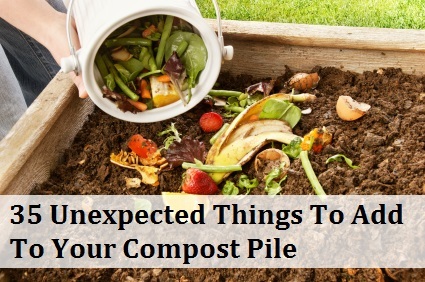 Here is a fantastic tutorial on 35 unexpected things to add to your compost. Have a look through this list today and learn something new.